Buy now from Amazon, order at your local independent bookstore. If ordering 5 copies or more, buy at a 40% discount (from the $25 cover price) + p&p from us. Ebook versions: Kindle here, and for epub contact us. Imagine: A future world in which we all value people and life and participate in a flow of generosity. A world where sharing our gifts and the mundane tasks of life are both done with wholehearted willingness, free of coercion. A world where attending to everyone’s needs is the organizing principle. Miki Kashtan weaves together vivid social science fiction stories that bring that world to life with compelling nonfiction about how to get there. Kashtan invites us to dream the future on a global scale and to bring this future into being by living and working for change as if that world already exists. In particular, her novel approach to dilemmas of leadership challenges us to align our use of power with our deepest longings and values. Collective Triage: a medic faces a problem: what does she do in a gift economy when medicines run short and children’s lives are at risk? (This page includes a short intro to the Tales as a whole). It’s Water Again: a skilled facilitator has the unenviable task of trying to help Californians to work out who gets how much water, when they are divided on urban vs. rural interests. What Can I Do? : a young man wrestles with what he’s going to do with his life, how he can be happy and useful. 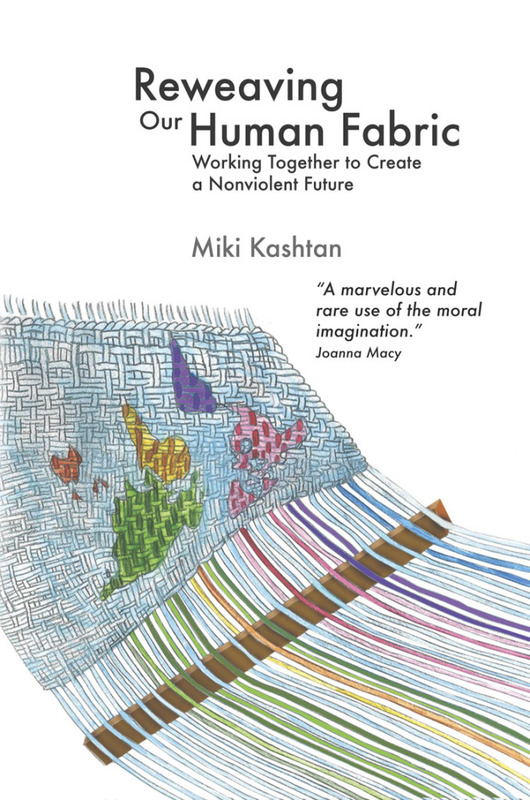 “Miki Kashtan brings decades of patient, committed work to bear in this stunningly clear and honest book about how we can live now into the peaceful, respectful, everyone-counts future we want. – Lorraine Aguilar, Chief Engagement Officer, Working Harmony, Inc.
– Kazu Haga, Kingian Nonviolence trainer based in Oakland, California. – Teresa Speakman, Communication Studies professor at Ohio University and compassionate communication consultant for organizations and individuals. – Karen Murphy, Jesuit Volunteer Corps 2009-10; M.Div. student, Andover Newton Theological School, MA. – Liv Larsson, mediator and author, A Helping Hand and Anger, Guilt and Shame Reclaiming Power and Choice.